In part one of the trilogy, Mikal, a blacksmith's son, enjoys working with fiery metal in his father's forge. But when the sorcerers' Guild of Constant Working comes to his small village for a Gleaning, the young boy's destiny is changed forever. Mikal begins a life of servitude at the Guild and soon learns of the magical world around him. Before long, he is apprenticed to the most powerful wizard in all of Phalia—Master Harlano. Mikal's new Master commands an army of wizards, but even he must answer to the mysterious rulers of the Guild. But when Harlano pursues a strange ambition of his own, will Mikal follow his Master—or stand against him? With help from his scruffy friend Lyra and a magical metal head, Mikal confronts danger at every turn as he uncovers the mystery of the Brightworking. "This slim volume has just enough magic and adventure to lure reluctant readers who feel overwhelmed just looking at a Harry Potter book." "This first book in the trilogy begins a saga readers who enjoy magic and sorcery will find appealing. Quick reading with a touch of adventure and intrigue will make this interesting for those paranormal readers who shy away from heavier, more complicated plots." "Steampunk meets magic in this exciting new series . . . the first book in a series that will enthrall young readers who enjoyed the Spiderwick Chronicles." "Readers who have an interest in wizardry and sorcerers will quickly become a fan of Mika and his adventures. Thompson cleverly sets the stage for forthcoming books in the Brightstone Saga and readers will eagerly await the next installment." ". . . will appeal to readers who prefer their fantasy at a manageable length . . ."
Comfortably predictable fare for younger fans and those who prefer their fantasy charged with standard themes and tropes. The Brightstone Saga delivers a fast-paced, action-packed adventure in a fantasy world ruled by magic. The story begins in Mikal's rural village where he is chosen to join the sorcerers' Guild of Constant Working. From there, Mikal enters a magical world full of mystery and danger. He makes new friends, but faces powerful enemies. In this three-title saga, Mikal embarks on an unforgettable journey. 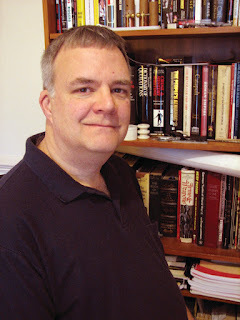 Paul B. Thompson is a freelance writer and novelist. He co-wrote sixteen novels in the popular Dragonlance series and has authored six books for Enslow Publishers, Inc., including two historical-fiction novels: Liberty’s Son and The Devil’s Door. He has published widely in magazines and online. Mr. Thompson lives in Chapel Hill, North Carolina, with his family. In his spare time, he builds catapults and antique scientific devices, such as Leyden jars and Tesla coils.